Orkney is a photographer's paradise with so much stunning scenery and some special sites to capture. We might be biased, but we think Orkney is one of the most beautiful places in the country to get out and about with a camera. From ever-changing light and all kinds of weather, to our green, fertile landscape and the blues and greys of the sea and sky, these islands provide the perfect inspiration. 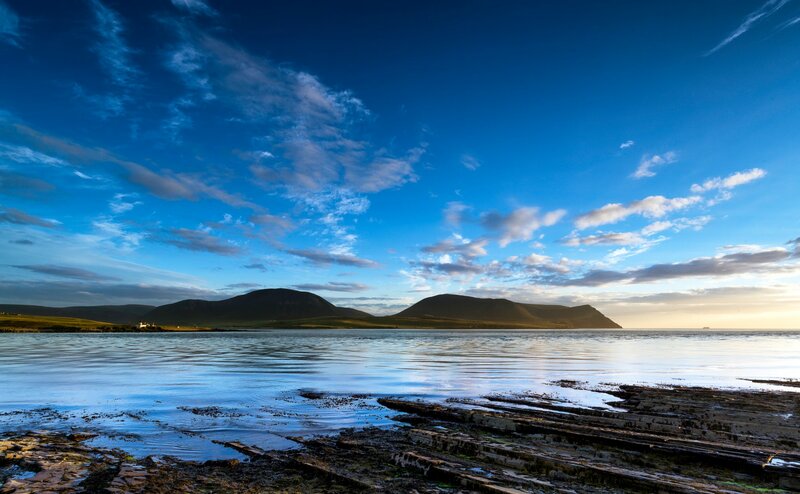 We've picked out some of our favourite images of Orkney by a very talented bunch of photographers - take a look and share your own with us on social media. The beauty of Orkney's relatively flat landscape is that sensation of always having huge skies above you. National Geographic photographer Jim Richardson captured it perfectly in this shot overlooking the Brodgar peninsula in Orkney, part of our UNESCO Heart of Neolithic Orkney World Heritage Site. You can see the Standing Stones of Stenness, the Ness of Brodgar excavations and the Ring of Brodgar in this image - 5000 years of history in amongst Orkney's patchwork quilt of fields and farmland. It certainly made its mark on Jim, he's been back on a number of occasions after being captivated by the islands. 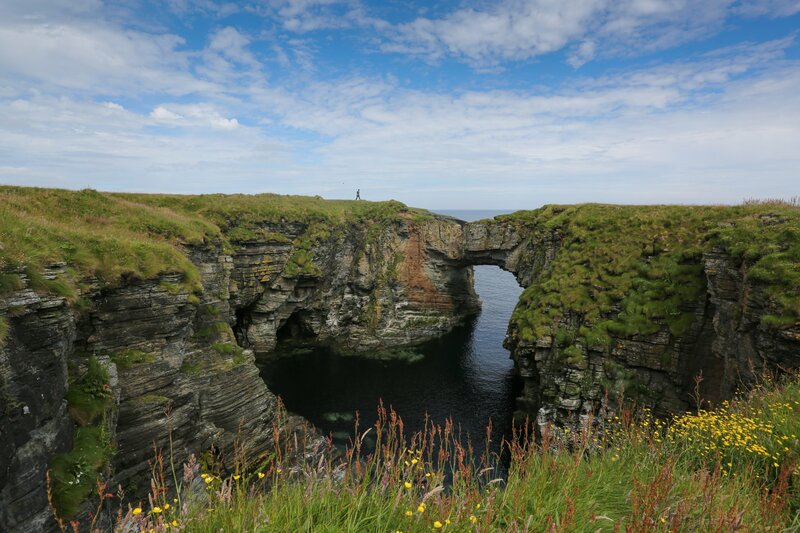 This natural arch is one of our favourite places in Orkney, and showcases the joys of island hopping. Jump on a ferry or flight to Stronsay and collect your free hire bike at the local shop before cycling across this beautiful island, full of bays, beaches and wildlife. You'll find the Vat of Kirbister on the east coast and it's a real Orkney highlight. Just sit down amongst the wildflowers and watch the birds skim in and out of this collapsed sea cave - you won't want to leave in a hurry. St Magnus Cathedral stands in the heart of Kirkwall, Orkney's old Viking town. Named after the patron saint of the islands, the cathedral is built with beautiful red sandstone that glows in the summer sunshine. 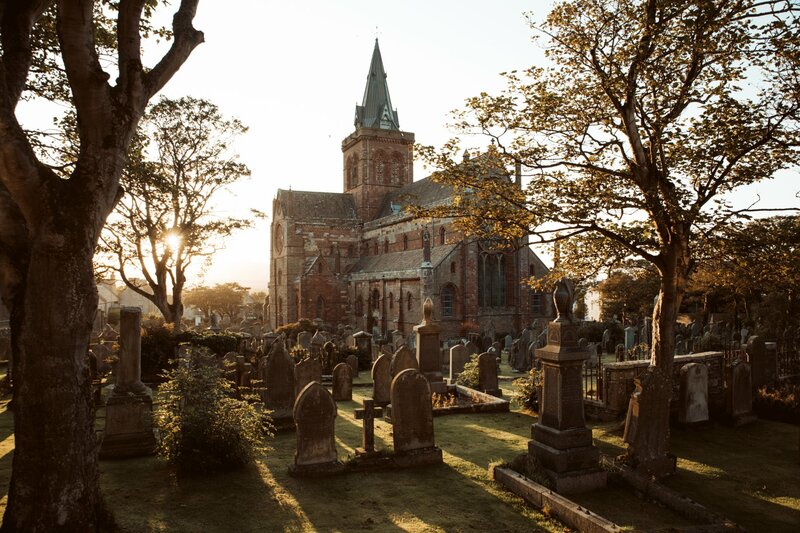 You can walk around the surrounding kirkyard or take a tour of the upper levels of the cathedral itself - the perfect way to explore the secrets of this stunning building. Rackwick is one of those special locations, a place completely unique and somewhere you'll want to visit again and again. 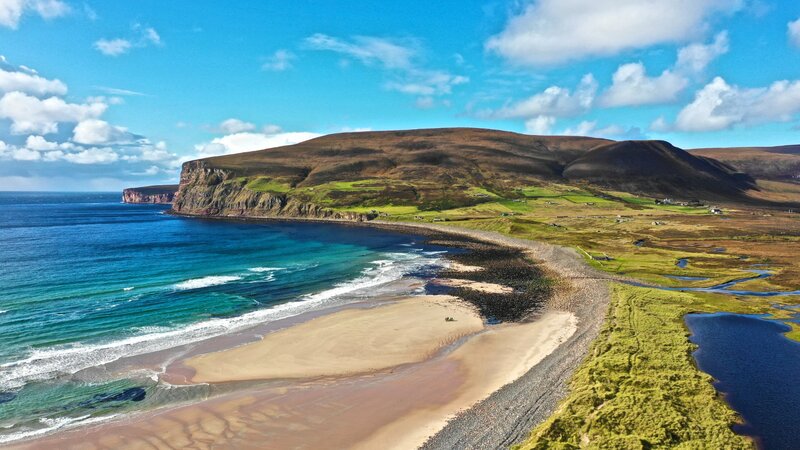 Drive through mountainous hills, past an ancient tomb and white-tailed eagles, to find Hoy's old crofting community, with its stone-built houses and pristine bouldery beach. It's also the starting point for a walk to the Old Man of Hoy, if you can tear yourself away. 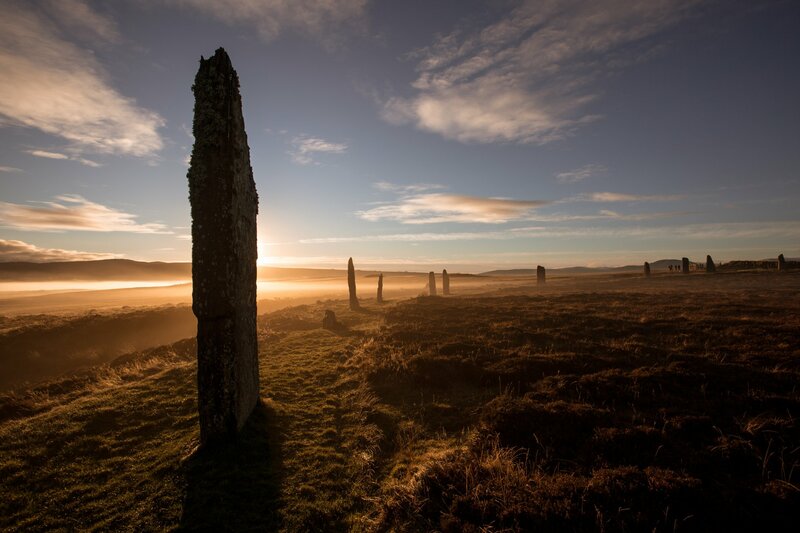 If you're planning a trip to Orkney, chances are you'll definitely be paying this ancient stone circle a visit. It has a real sense of mystery to it, and we'd always recommend arriving at sunrise or sunset, just for the added atmosphere. Everyone loves a road trip, right? 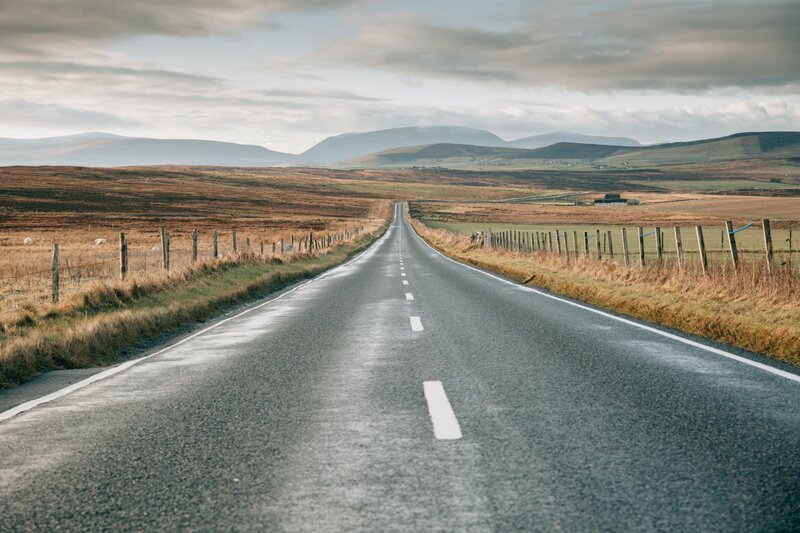 Here in Orkney we have some great stretches of open road to enjoy. This is one of our favourite views, looking down Hobbister brae towards the parish of Orphir and the Hoy hills beyond. 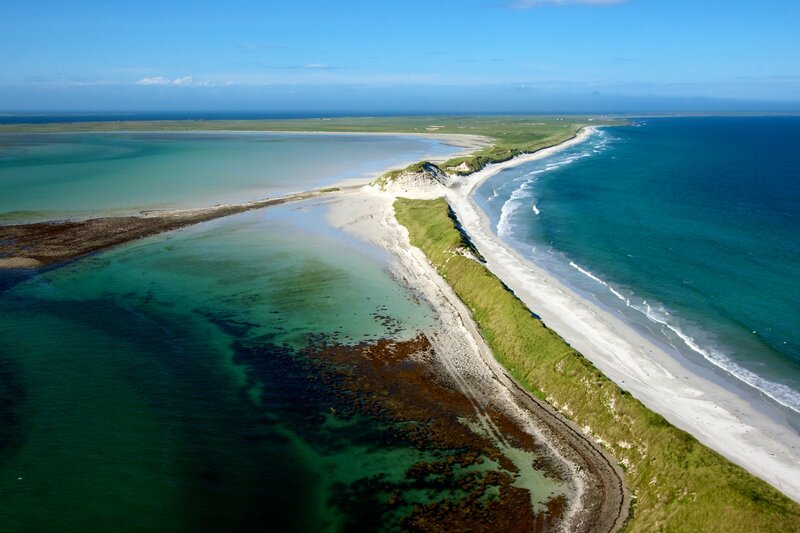 As well as the view, you can take in a walk at an RSPB reserve and one of Orkney's best beaches, Waulkmill, from a drive down this road. Because Orkney is a relatively flat group of islands, the Hoy hills tend to dominate the horizon wherever you are, especially in the west mainland. The view of them from Warebeth beach, just outside Stromness, is one of the best. There's a lovely walk from the town to the beach, where you can enjoy the scenery, the fresh sea air and the view out towards Hoy Sound and Pentland Firth beyond. 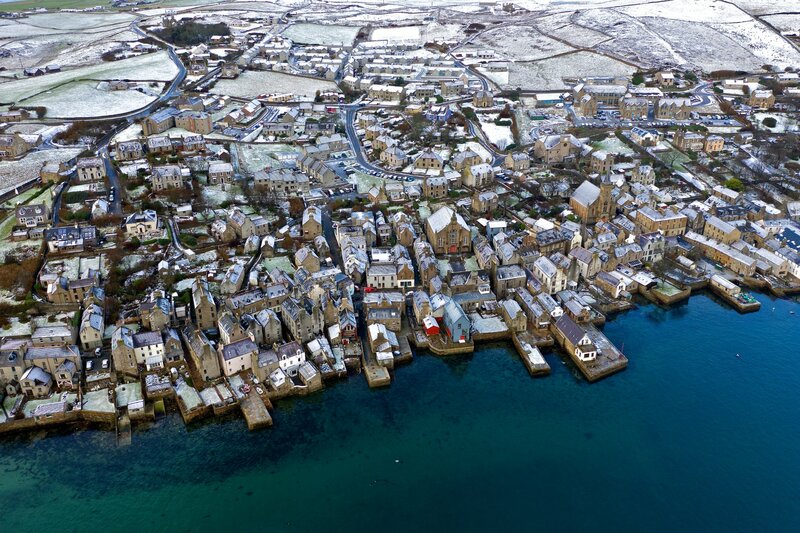 Stromness is a town shaped by the sea. The flagstone street winds its way through from north to south, with old stone houses huddled against the harbour. This shot really highlights the numerous piers, slipways, lanes and closes you can find here. We'd always recommend a stroll through Stromness. This is potentially the most spectacular stretch of sand in Orkney. These dunes in Sanday are part of a thin peninsula that separates the sheltered tidal bay of Cata Sand from the North Sea. The beach at Tresness winds its way northwards, with fantastic sea views and clean, clear water rolling ashore. 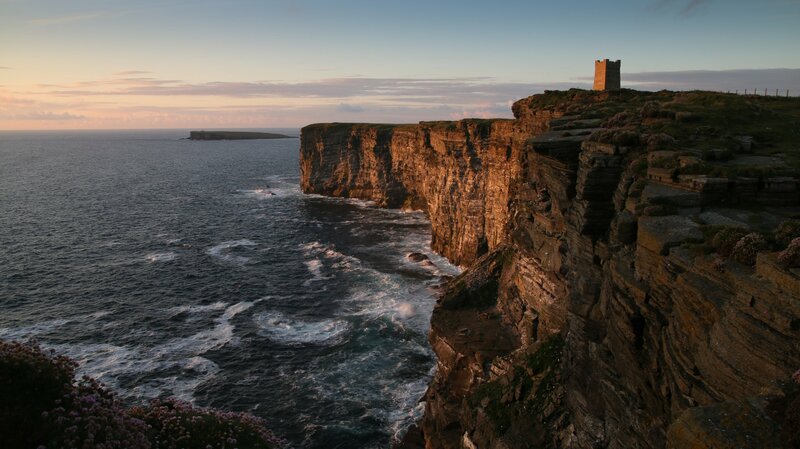 The cliffs at Marwick Head stretch up more than 80 metres from the sea below and are a real haven for seabirds, home to thousands of fulmars, kittiwakes and guillemots during the summer months. The memorials to Lord Kitchener and the men of HMS Hampshire, lost off the coast here during WWI, add a poignancy to this very special place. This image of Rackwick shows the beautiful beach at its best. You'll often have this place to yourself, just you and sound of the cool waters of the Pentland Firth crashing ashore. Orkney has nearly 600 miles of coastline, and so much of it is well worth exploring. South Ronaldsay has an excellent network of coastal paths, leading you past secluded bays, sea stacks and scenery like this. History is all around you in Orkney. 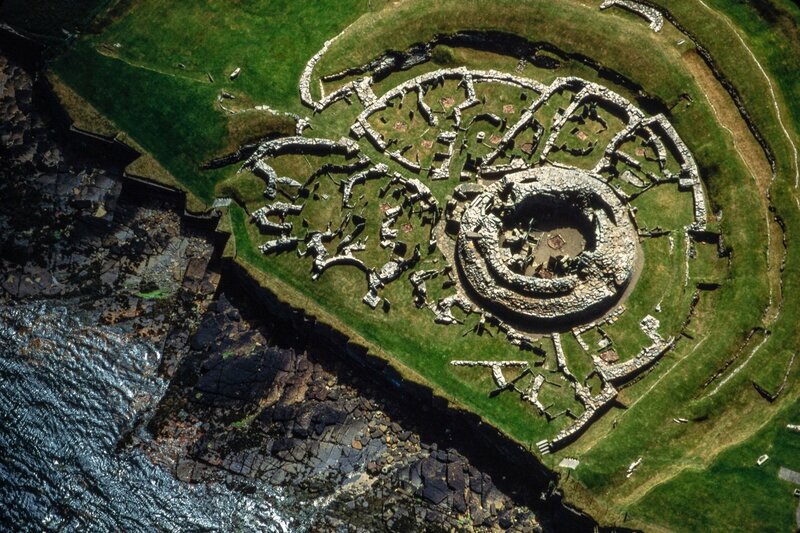 Our famous sites, like Skara Brae and the Ring of Brodgar, attract a lot of attention, but places like the Broch of Gurness should always be on your list too. This Iron Age broch has the remains of a small settlement surrounding it and it's one of those places where you can touch the stones and feel the history on your fingertips. 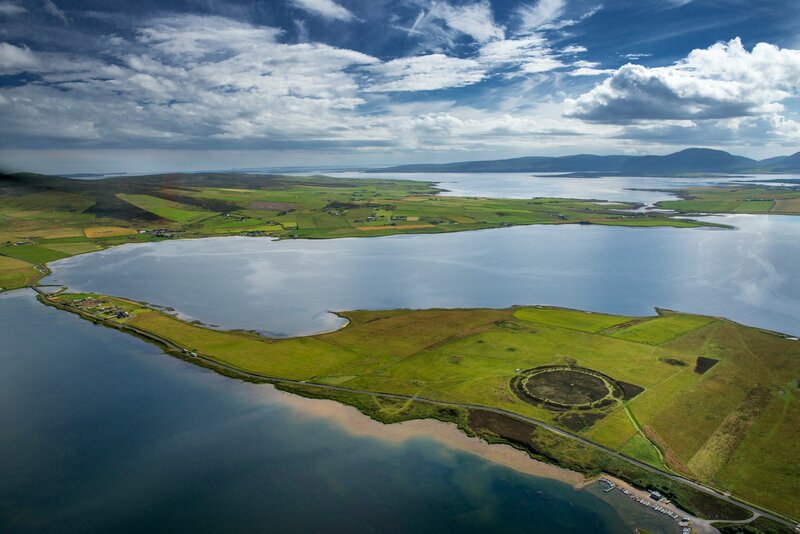 We hope you enjoyed our selection of Orkney images! We'd love to see your shots of the islands, share them with us on Facebook, Twitter or Instagram by following the links at the top of the page. Posted on , Visit Orkney, Leisure & Sport, Nature, by Andrew Learmonth.